The life of a college student is not always fun and games. Busy schedules, difficult classes and the stress of figuring out where you want to go in life are just a few examples of the everyday things students deal with. It is very common for us as college students to need someone we can talk to or go to for advice. However, we don’t always want to go to someone our own age, or someone we have to see everyday on campus, or even our families. At Southwestern Adventist University, the Spiritual Life and Development office has provided a new opportunity for both the student body and the pastors of our area to connect with each other. This whole new ministry is called Real Talk. Real Talk serves the purpose of giving the student body an opportunity to interact with the pastors that work at the churches around SWAU. The pastors that volunteer their time during Real Talk are willing to talk about anything with the students. They are willing to listen, give advice, answer questions, or try to tackle any issue we might have on our minds. 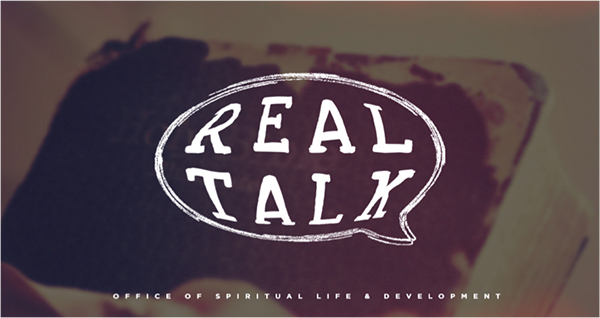 In the last couple of weeks, as Real Talk has begun, several students have come in to ask Biblical questions or to just talk about whatever they were facing at the moment. At other times, they come in for other reasons. One of the other reasons students have visited the pastors is to simply get to know them a little better. A huge motivator behind the creation of Real Talk has been to connect the student body with the churches that surround our community. And so far, it’s started to work. The minds behind Real Talk figured that the best way to create that connection to the churches would be to bring the leaders in to connect with the student body right on campus. It’s working so far. With pastors at the Spiritual Life and Development office on campus, students are given the opportunity to get to know the leadership of the nearby churches and to even find new opportunities for worship and ministry that they otherwise may not have known of, not to mention the opportunity to find a mentor who is willing to share the knowledge and wisdom they’ve gathered in their life and ministry. Many of these pastors are even graduates of Southwestern and can share similarities with the students that now sit in the very same classrooms they were learning in a few years back. 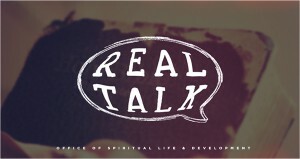 Real Talk has seen some real success so far, and we pray that it continues to grow and provide an opportunity for the student body to connect with the local churches. Real Talk thanks the pastors for their willingness to become a part of our campus family. We hope that our student body can see and appreciate the awesome possibilities created through Real Talk. She was a top model in Asia making lots of money. She had everything–and nothing.